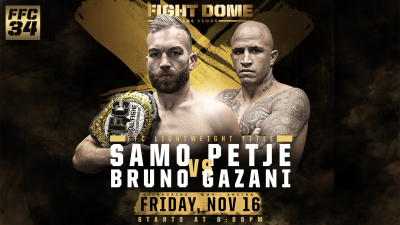 Las Vegas, NV, (November 10, 2018) – “FFC 34” has been moved to Friday, November 16th and the multi-discipline fight card is guaranteed to ‘raise the roof’ at Fight Dome Las Vegas. 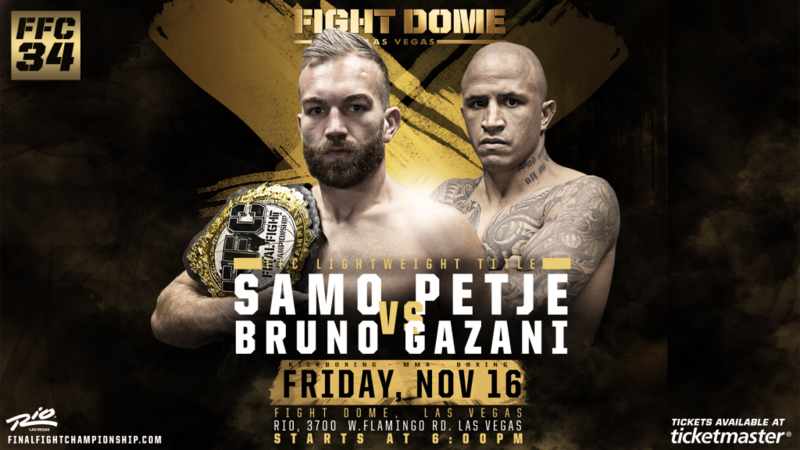 The Main Event will feature a high-octane title match between two veteran kickboxers as Bruno Gazani (60-6-0) of Brazil fights Samo Petje (35-6-1) of Slovenia for the FFC Lightweight Kickboxing Championship. FFC CEO/Founder, Orsat Zovko, is looking forward to the title bout between Gazani and Petje. 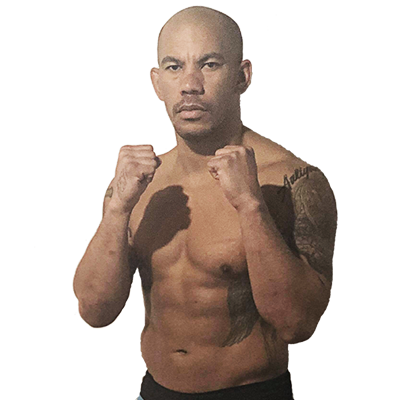 The night’s Co-Main Event is expected to a big-time brawl between two massive MMA heavyweights, as DJ “Da Protege” Linderman (21-14-0) Yreka, CA steps into the ring to scrap with Tony “Hulk” Johnson (11-4-1) Nashville, TN. The rest of the ‘multi-discipline’ fight card will consist of bouts involving Kickboxing, Boxing and Mixed Martial Arts. A full list of “FFC 34” fighters will be announced soon.